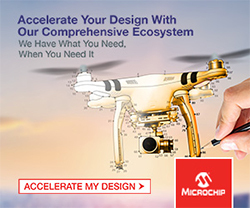 Designed for 5G wireless equipment and network infrastructure, a family of network synchronisation IC products for Synchronous Ethernet (SyncE) and IEEE 1588 timing and line card applications have been released by Microsemi. The family provides advanced phase measurement and adjustment capabilities which simplify next-generation transport and wireless equipment design. These capabilities also enable equipment to achieve the stringent phase alignment requirements which are down to 130 nano seconds across the entire network, says Microsemi. Next-generation networks will move greater amounts of data to provide increased connectivity and must do so with lower latency and at a lower cost, says Microsemi’, explaining the rationale behind features such as precise timing capabilities to monitor, measure, tune and calibrate to the picosecond. These enable equipment manufacturers to address the 10-fold increase in phase alignment accuracy required by 5G networks. Microsemi’s product family is suitable for a variety of 5G applications, including 5G baseband, radio units, distributed units and centralised units. 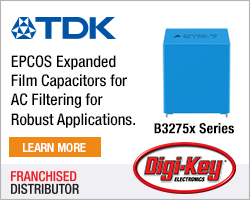 The devices can also address the demands of mobile front haul/mid-haul/back haul, including microwave/millimeter wave and service provider switches and routers. Microsemi’s new product family includes SyncE packet clock network synchronisers – the ZL30671, ZL30672 and ZL30673, which offer one to three channels of SyncE packet clock synchronisation. The family’s ZL30681, ZL30682 and ZL30683 offer one, two or three independent channels of SyncE clock translation while the ZL30256 is able to attenuate and translate frequencies up to three channels. 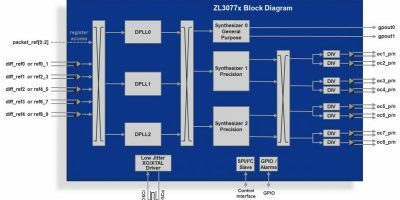 IEEE 1588 and SyncE packet clock network synchronisers, the ZL30771, ZL30772 and ZL30773, offer one to three independent timing channels of a combined hardware and software platform including IEEE 1588-2008 precision time protocol (PTP) stack and synchronisation algorithms. 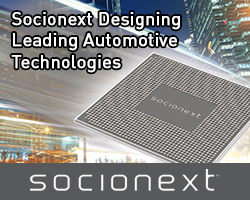 Microsemi’s new network synchronisation IC product family is available now. Microsemi supplies semiconductor, system and services for the enterprise, data centre and telecomms markets. Microsemi products enable customers to build secure, reliable and low power systems that can meet stringent requirements of next generation communication networks. Microsemi technologies drive innovation in a range of applications including edge and core routers, Ethernet switches, optical transport network (OTN), wireless infrastructure including LTE-Advanced, small cells and Wi-Fi access points; access aggregation and broadband gateways including fibre/PON, G.fast and DOCSIS3.1.